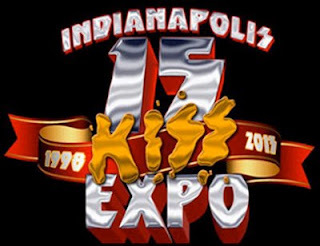 The Indianapolis KISS Fan Expo is excited to celebrate its 15th anniversary this weekend! The two-day event kicks off this morning with the Demon himself, Gene Simmons! This event is SOLD OUT. Some tickets are still available for the weekend's other events featuring KISS drummer Eric Singer and former KISS guitarist Bruce Kulick. As always, the Indianapolis KISS Fan Expo is run by the fans, for the fans. Visit http://getalifeinc.com/ for more info!